Home » Common Health Questions » What is stronger than Percocet 325/5 mg? What is stronger than Percocet 325/5 mg? Percocet is a brand name for an analgesic that contains a combination of acetaminophen and oxycodone. Oxycodone is an opioid (or narcotic) medication used to treat moderate to severe pain. Acetaminophen is a less potent pain reliever that increases the effects of oxycodone. Is Percocet the strongest analgesic? What the WHO Pain Ladder tells? Percocet belongs to the group of strong analgesics but it is not the strongest one. According to the WHO Pain Ladder, a combination of acetaminophen in doses of 325 or 500 mg and oxycodone in the dose of 5 mg is classified as moderate pain analgesic of the Step 3 (there are 4 steps ranks) together with a combination of acetaminophen and codeine, morphine, hydromorphone (Dialudid), fentanyl and methadone. 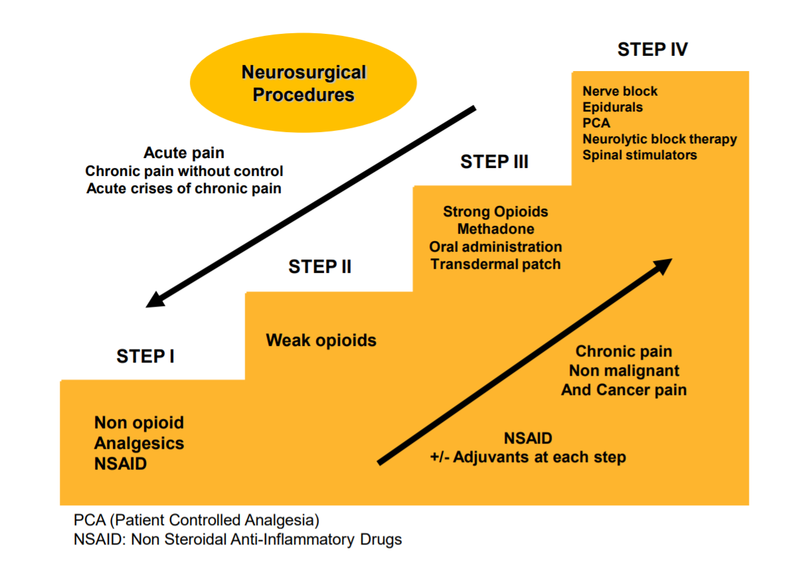 Percocet is considered stronger than any other non-narcotic analgesic such as NSAIDs (ibuprofen, aspirin, diclofenac, nimesulid, celecoxib, acetaminophen etc) of the Step 1. It is also stronger than tramadol, tapetandol and buprenorphine which are categorized as Step 2 analgesics.